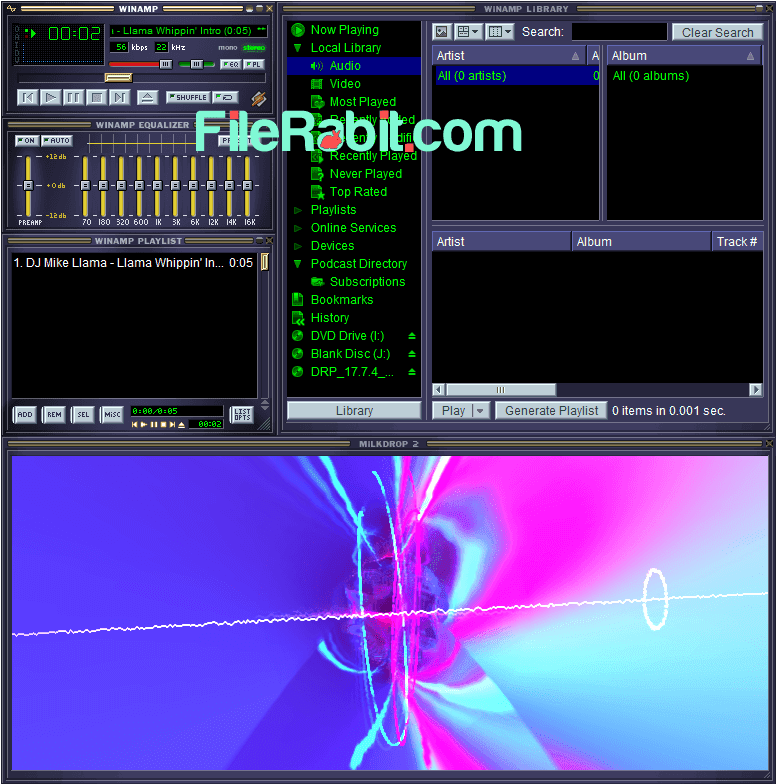 Winamp is a media player that lets you enjoy playing music or video files with amazing visualization, equalizer, plug-ins support and pack of beautiful skins. A powerful, smart, responsive and attractive multimedia player which is used to listen music in lots of audio formats. 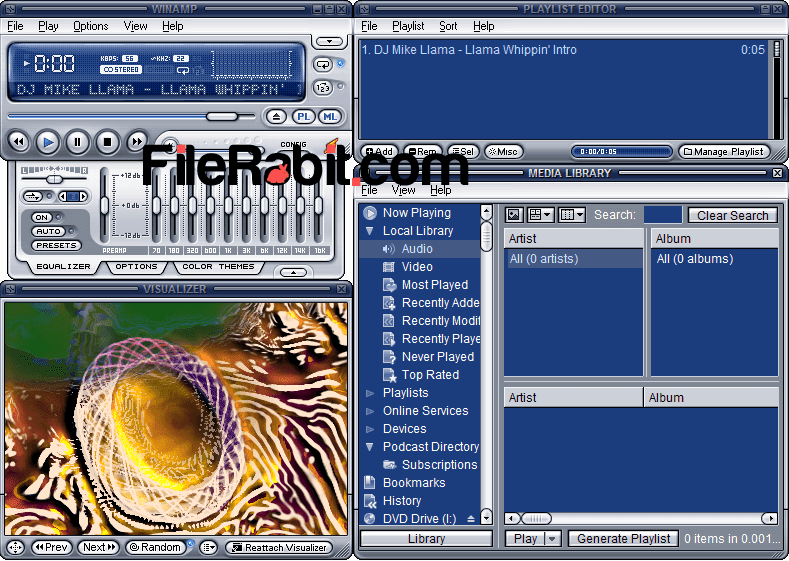 Winamp is classic rich featured software where you can make custom play list that includes favorite music collection. Furthermore, you can play WMA, OGG, MP3, MIDI, ACC, FLAC, MPEG-1, M4A and various other formats including playlist. Moreover, import music from audio CD’s, computer hard disk drives, portable music devices and system libraries. Create custom equalizer preset or a playlist where everything is completely modified. Save playlist files for later use and set Winamp on repeat all to get rid of pressing play buttons again and again. Installing 3rd party skins is too simple for beginners because it needs to just download a skin, browse it and apply to Winamp. Winamp offering 2 types of basic skins including Basic and Modern skins. You can easily create playlist, modify its numbering, set which file to be played next, delete unwanted files and save playlist for later use. The milkdrop plugin is just awesome which shows extremely amazing visualization effects and give your screen colorable effects. Adjust equalizer at your best point to create custom sound effects. Set Winamp as default audio and video player with choosing file associations during the installation. There are 3 versions of Winamp that were released for Android, Windows and MAC OS X. Winamp was discontinued in last few years but the forums are their to offer help and information. This player supports all basic keyboard shortcuts but you can also control everything from its user friendly interface. Winamp plug-ins can move your keyboard stable lights into dancing lights.